Johne’s disease is still a notifiable disease however most state and territory jurisdictions removed regulation for Johne’s disease on 1 July 2016. Western Australia will continue to regulate Johne’s disease and the Northern Territory has interim arrangements in place in regards to Johne’s disease management. In Queensland Johne’s disease is now managed under the national approach to Johne’s disease in cattle which is market-driven, where producers undertake practices depending on market requirements. In January 2017 the Northern Territory Government gazetted changes to their entry requirements. The Northern Territory Gazette G3 (PDF, 263KB) states that cattle entering the Northern Territory must hold a J-BAS 7 status in addition to a National cattle health statement on the Farm Biosecurity website. This includes cattle being exported via the Northern Territory. From 1 July 2017, the required standard for entry to the Northern Territory from Queensland is a J-BAS 6 status, plus NO case of Johne’s disease on the property of origin for at least the preceding five years. Under the transitional arrangements (June 2016 to June 2017) Queensland properties are considered J-BAS 7 as Queensland transitions from the protected zone to a Johne’s Beef Assurance Score (J-BAS) scoring system. Once the transitional arrangement ends on 30 June 2017 properties will need to have put measures in place to retain their J-BAS 7 status. Under the new approach to Johne’s disease and the Johne’s Beef Assurance Score (PDF, 476KB) a property wishing to retain a J-BAS 7 must have a biosecurity plan in place that is then reviewed by a registered veterinarian. J-BAS 7 properties must also undertake a herd check test every 3 years. More information about the herd check is in the Johne’s disease in cattle, definitions and guidelines (PDF, 278KB). 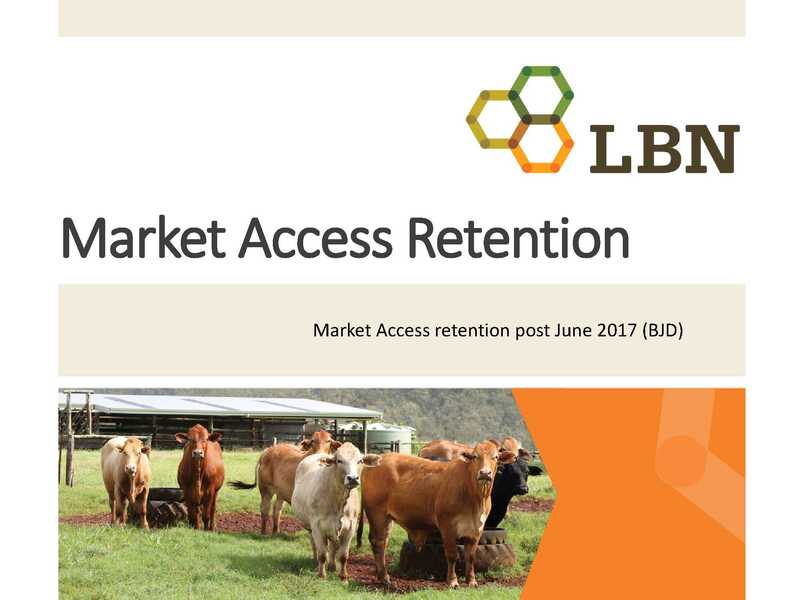 Producers must have a biosecurity plan in place by June 2017 to ensure they are not locked out of markets that rely on the J-BAS scoring system. The testing cut-off date is likely to be extended to June 2018 to give producers additional time to liaise with their veterinarians to facilitate testing regimes. However plans must be in place by June 2017 to ensure no disruption to market access. To obtain a biosecurity plan a producer can start with the National farm biosecurity reference manual: grazing livestock production (PDF, 2.06MB) for tips on what a biosecurity plan needs to contain. This document states the minimum standards for an on-farm biosecurity plan and is considered to be the industry benchmark. Future plans will need to include the Johne’s checklist (PDF, 302KB). They will also need to address all of the subheadings as outlined in the National farm biosecurity reference manual to be considered a biosecurity plan. The Livestock Biosecurity Network (LBN) is developing a template for producers to use. This template will be available at biosecurity planning workshops and also from the Livestock Biosecurity Network website once it is finalised. The LBN are also working with AgForce and FutureBeef to hold a series of biosecurity planning workshops. These workshops are free to attend and are open to everybody. Please check the FutureBeef events calendar for a workshop near you. Download a copy of the Biosecurity planning workshop presentation (PDF 2.0 MB). Most states in Australia deregulated Johne’s disease in 2016 and now manage the issue under the new Johne’s disease framework. Western Australia has elected to continue to manage Johne’s disease while the Northern Territory has implemented interim arrangements, specifying a JBAS 7 status as a minimum requirement for entry via Gazette Notice G3. This change to entry requirements means big changes for Queensland in how we manage Johne’s disease going forward. How you can implement an on farm biosecurity plan. 34:33 minutes, published 19 April 2017 by FutureBeefAu. Download a copy of the BeefConnect Johne’s disease update webinar presentation (PDF, 2MB). Please contact your Animal Health Australia Biosecurity and Extension Manager for more information. Queensland producers are encouraged to contact Rachael O’Brien on 0418 7224 61. More information on Johne’s disease is available on the Animal Health Australia website. Answers to the Johne’s disease and the Queensland beef industry: frequently asked questions. This information is current as at 1 July 2018. Please check with your local veterinarian or Animal Health Australia for the most recent information and to discuss Johne’s disease in more detail. A list of contacts and references for more information in available on the ‘More resources, references and links’ tab in the FAQs.